When the discomfort of varicose veins gets bad, in the past the only remedy was surgery but it has been announced at the International Conference on Natural Therapy that Remedial Therapy is effective for the lower extremity varicose veins! It is a hands-on therapy developed in the UK from Australia and Europe and is called Remedial therapy. Remedial massage is one of the accepted private therapies abroad and is an effective technique that is recognized the world over and covered by insurance. It is a therapeutic oil treatment aimed at improving the discomfort of the body and can provide sensation and satisfaction. Shoulder · neck · stiff back, shoulder joint pain, back pain, knee pain, swelling and sluggishness, effective relief of muscle fatigue and stiffness by warming and preventive tactics after sports. 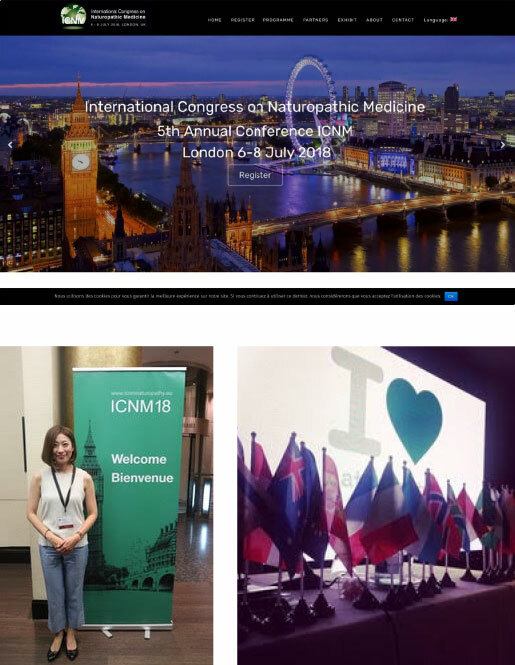 ICNM -- The International Congress on Naturopathic Medicine announced a joint research project in London! In July 2018, The International Congress on Naturopathic Medicine announced it conducted research in collaboration with doctor and therapist Miyuki Haga. The contents of the announcement was their findings that there was an improvement of the lower extremity varicose veins by combining aroma oil and remedial massage. What is the lower extremity varicose veins? “Lower extremity varicose veins” is a varicose vein that can show up in the legs and is caused by long-lasting bad circulation. Something like a swollen bump can appear on the calves and the veins on the back of the knees. Although there are no subjective symptoms in most cases, eczema, pigmentation, ulcers and other dermatitis occur when it gets worse. Up until now, it got worse and I thought I had to have surgery..
As a result of performing the treatment using a specific oil and specific massage technique once every 2 weeks, the function of 14 points among 19 improved and the varix has disappeared. The remaining four areas are not perfect, but they were headed in a good direction.